Hello :D Hope you are enjoying your weekend. Here in Ireland the weather is absolutely fabulous! It has been dry and sunny for the past week, probably the first time in three years. Yes, you heard me right, 3 years!!! 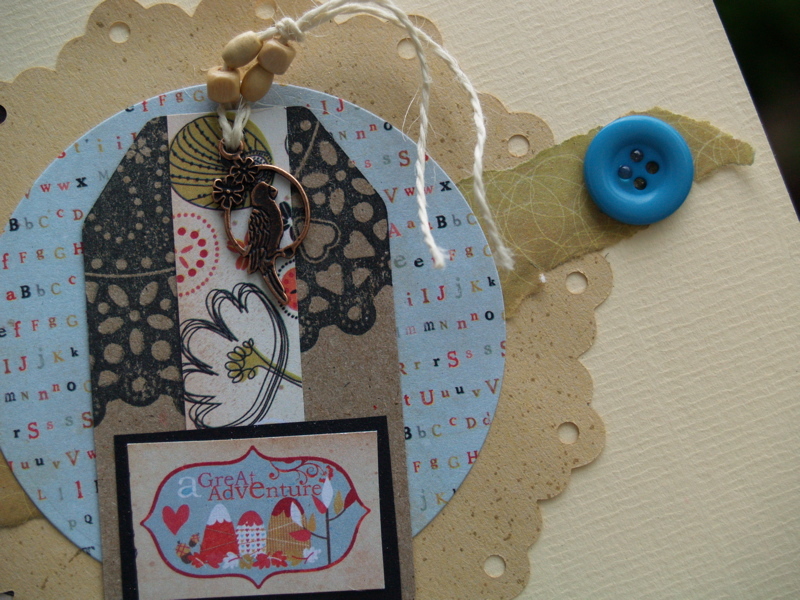 My three B's are - Button, beads and Bird Charm. 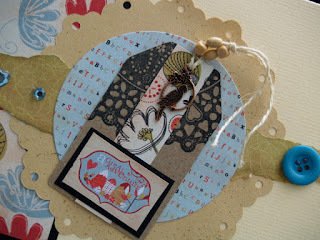 I used three different printed paper from the Prima "Doodle Deux Collection". I love the tones in the papers. With my Sizzix Circle, Scalloped Lace die, I cut out the design onto some cream/yellow art paper. 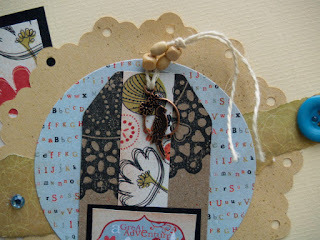 I stamped a kraft tag with a Papermania Urban Stamp, and then layered it up with more paper from the "Doodle Deux Collection". The 'sentiment' was also from the paper collection. 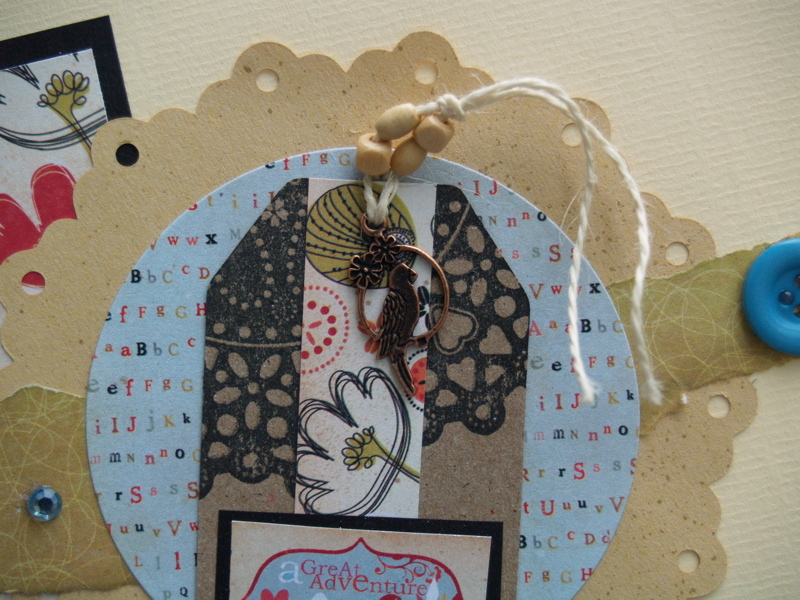 I threaded some beads through the twine in the tag. Used some gems and a button that tied in with the colour theme. 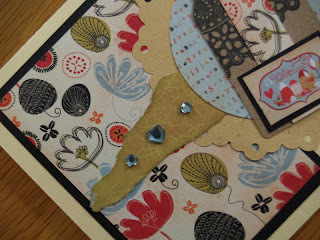 I love this collection of paper, and how versatile it is with a lot of my supplies already! Hope you like this card. Why not give the challenge a go? Great card, I haven't seen that paper line it looks lovely. Your designs are getting more beautiful every time! And as Michelle said, great use of your new room!! Your card has such great character Eithne! Love it! 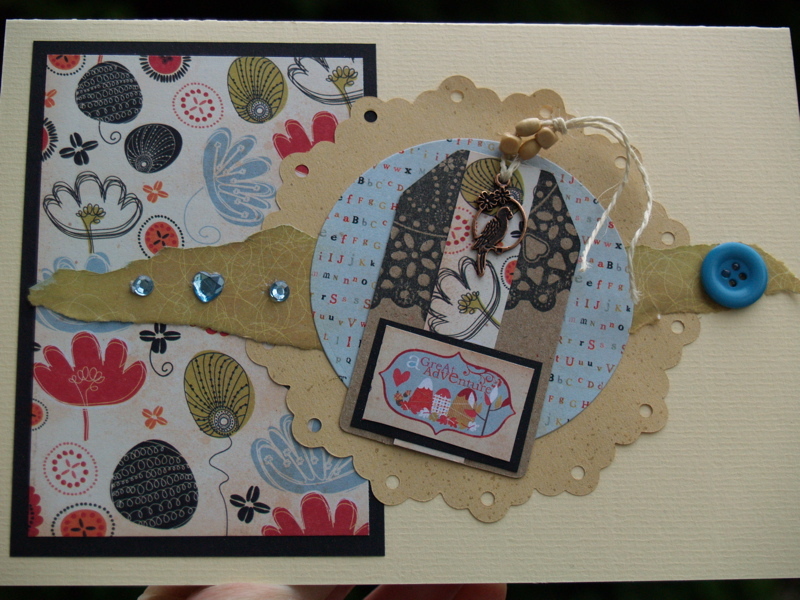 Beautiful card, thanks for joining us at Left of Center Challenges this week. Beautiful creation, I love the colours, so pretty! Thanks for joining us at Crafty Friends.